Bodhisattva Gallery, Pulchowk is garnered with various artworks created by 75 different traditional Newar artists. The exhibition that began on January 19 displays paubha, sculptor, ornament and more. This is the second edition of the exhibition 'Jewels of Newar Art' where you can delve in artworks whose quality is not less than those that are displayed in a museum. Moreover, Prajowl Shakya, curator of the exhibition has accentuated the beauty of traditional Newar art through the use of lighting in such a way, which focuses on the detail works in the artwork, rather than the space of the gallery, that is popular among Nepali art galleries. As you enter the gallery, you could feel this difference created by the lighting on the objects. Inside the gallery, you can get a vibe of walking inside a sacred place surrounded by paintings and idols of Hindu and Buddhist gods and goddesses, as all the artworks are inspired by religious motifs found in Hinduism and Buddhism. 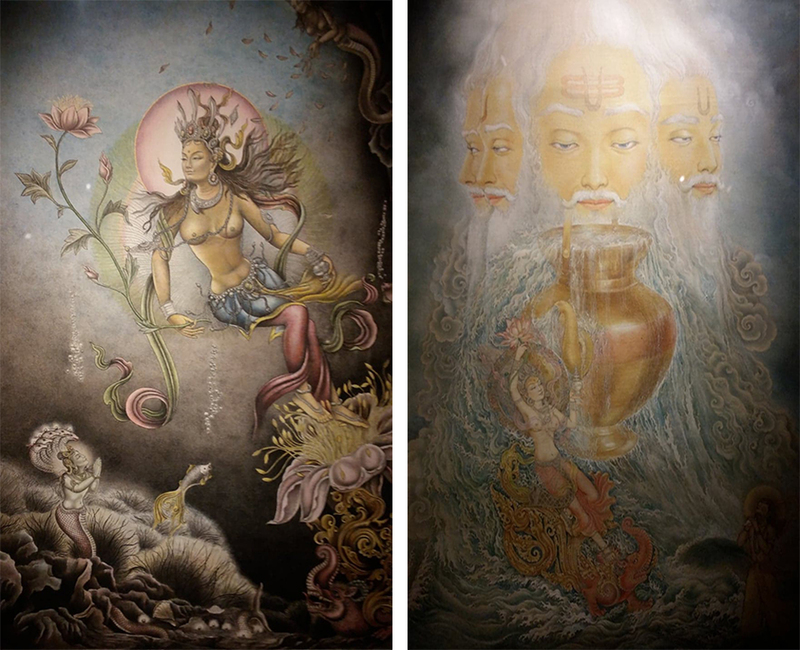 In the exhibition, the depiction of Goddess Ganga titled ‘Ganga Avataran’ by Udaya Charan Shrestha and ‘Ganga’ by the duo — Purna Hyaju and Rabindra Munakarmi; are differently done. 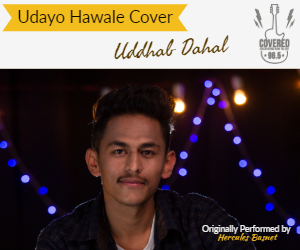 Meanwhile, they have followed the iconography of the Goddess Ganga, however, the composition is completely different, giving diversity on looking on the same motif, also a distinct quality in traditional Newar art. In both the paintings, the Goddess is carrying a lotus flower in her right hand while she is carrying a jwalanhyakan (traditional mirror made of metal) in her left hand. The goddess is in the water and she is comfortable being submerged in as she is the Goddess of water. And there is a natural rhythm on how both the artists presented their motifs. However, the way she carries those objects and the size of the objects, her ornaments, and garments along with the background composition is completely different from each other in the paintings. The artist used subtle hues of blue, white, pink and silver to give the feel of a day in ‘Ganga Avataran’. And in the painting ‘Ganga’ the duo has used black along with the soft tone of pink, blue and green, reflecting night. The exhibition showing dedication and patience of traditional Newar artists are on display till Saturday.